Visit our parts department near Bountiful. Our professional parts department wants to help you access genuine automotive parts for sale in North Salt Lake, UT! It’s easier than you might think, all you have to do is order parts online and we’ll take care of the rest! We can even install your genuine parts. 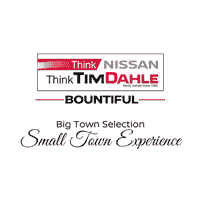 The experts at Tim Dahle Nissan Bountiful want you to have a good time. Our genuine automotive parts work better than non-genuine because they have no possibility of incompatibility. Top it off with our installation services, and you’ll see that our automotive services are the best! Browse our website, and you’ll find that we offer service and parts specials in North Salt Lake, Utah. When you access our service and parts specials, you’ll be saving a ton of money on the services you need. Whether you need a genuine component installed or an oil change, the specials we offer will make it easier and cheaper for you to do so. Browse our online specials before you buy and get the service you deserve! Contact our parts department serving Bountiful, UT to learn more about our parts. You can order online or pick up a component at our dealership. We look forward to assisting you. Schedule parts installation services in North Salt Lake, Utah now. When you schedule your service, we will have a service advisor follow up with you to ensure that you can get the services you desire. We look forward to assisting you with all of your needs. Contact us with any questions or concerns! We look forward to assisting customers near Bountiful, UT.